one good thing that comes from cleaning your closet is discovering forgotten treasures. i don´t know why i for the life of me, forgot that i have these balenciaga babies tucked in the box. bought them last summer but since summer last year lasted for about 2 minutes, these sandals didn´t really have the 15 minute fame they truly deserve. long story short, we´re reunited again and i think there´s no looking back now. i love the boots version but every other girl owns them. and who wants to be every other girl, right? Great shoes and love that bag! It's a unique print. Beautiful bag! Love those Balenciaga sandals, very cool that they have the same buckles as those ubiquitous boots! I know where you’ve bought them! ;) come baaaaaack!! I KNOWWW I WANNA COME BACK AND HANG!! I love this look, so perfect! such a great look! love these shoes! Ich freu mich riesig über den Post, da ich die Tasche auch besitze und mir die Outfits ausgegangen sind. Daumen hoch! Love that outfit and the pictures! 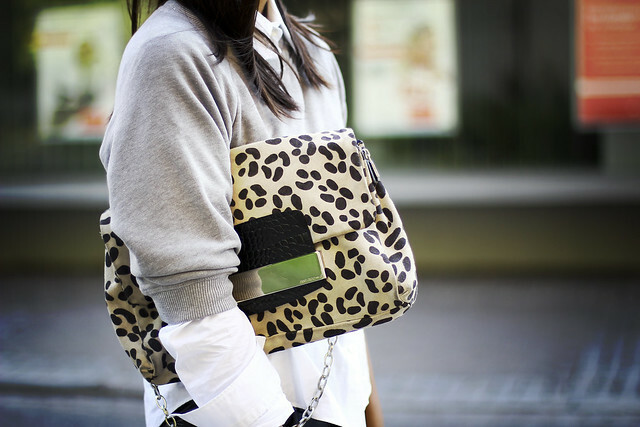 stylish babe, mag die clutch und den preppy look! They are incredible, love them! so nice heels! and the complete outfit is great! love this outfit! your shoes are amazing! Wow, absolutely adore the shoes. Perfect outfit. Great look, loving your purse! Die Heels und die Clutch sind ein absoluter Eye Catcher! Passen perfekt zu Lederhose und grauem Sweater! Cooler Look! Okay beautiful shoes! I am jealousssss! The sandals deserve and award. 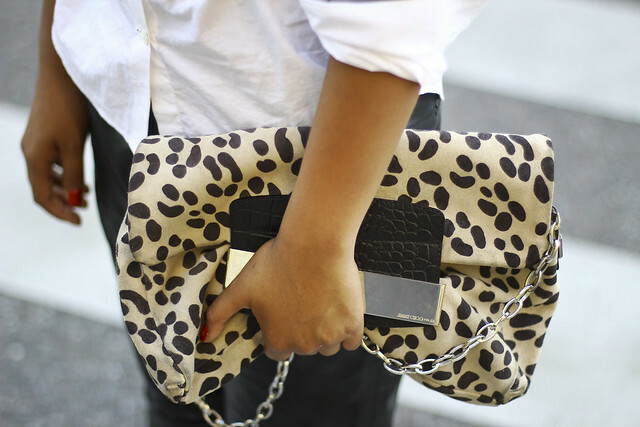 Love how you broke the white, grey and black with some animal print. Thanks for posting the photos and feel free to drop by me too anytime.